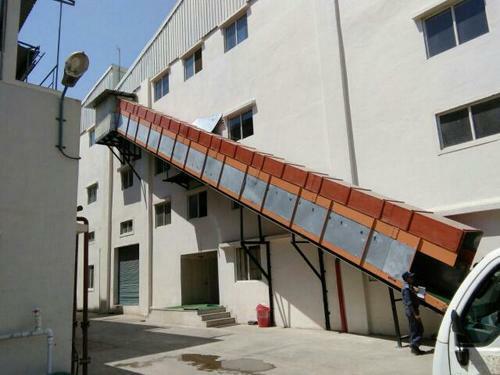 Incepted in the year 2005, Jaspat Conveyor Belt & Systems is known in the market as fame manufacturer and supplier attempting for total client satisfactions by giving superior quality, excellent performance and user-friendly Conveyor and Mesh Belt. Our wide range of products includes Inclined Conveyor, Industrial Conveyor and Horizontal Conveyor Belts. These products are remarkably valued due to their robustness, superior strength, effective performance and high power efficiency with excellent friction. All our products are produced from the quality tested raw material and cutting-edge technology as per the manufacturing set norms. Owing to our expertise, we have been successful in fulfilling the demands of our esteem customers in the domestic market. Our remarkable success in the industry is essentially based on the hard work of our workforce and our modernized infrastructure. Owing to our product know-how and rich technical expertise we are able to cater to customized specifications of our clients. Our products are manufactured under the supervision of our specialists and using advanced technology. This team also tests entire advanced gamut in our maintained quality checking section to guarantee absolute fulfillment, prior to dispatch. Moreover, our skillful business standards and easy payment options have empowered us to serve diverse esteemed clients. Our quality conscious strategy along with advanced technological processes has assisted us in serving the huge client base.